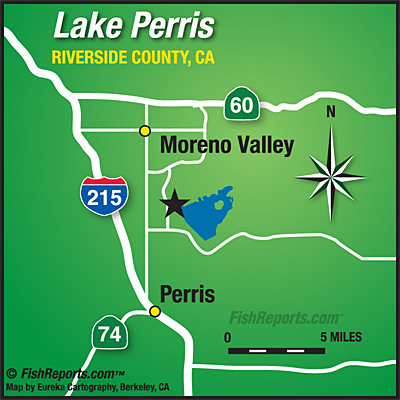 Lake Perris still has not received a trout plant. The weather has been rough this week, lots of rain and high winds. The carp and bass are still biting out there. We can see the carp from the surface. The bass are still swimming deep.